Around the beginning of this year, I grabbed my DIY queen Tai Yi ( you’re no strangers with) and explored the hidden gem of Hock Siong, a secret store filled with pre-loved, refurbished customizable furniture. 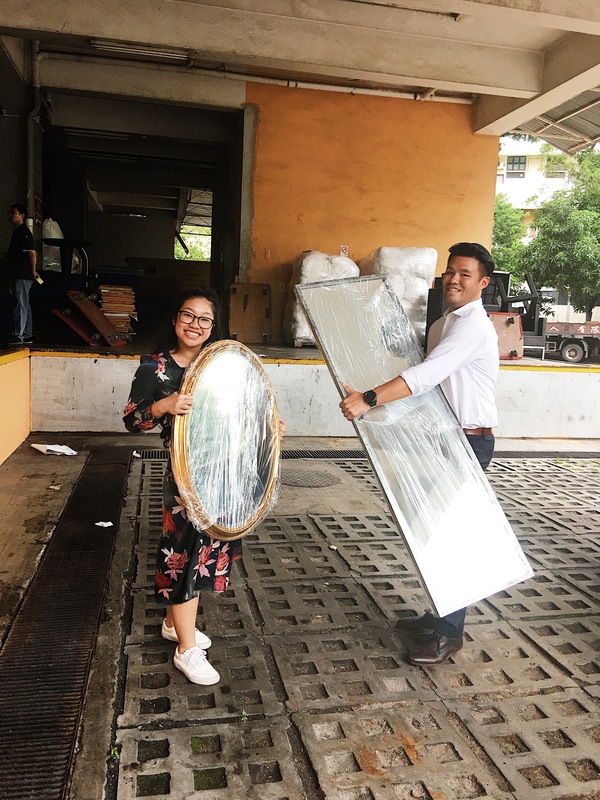 It started with a post they shared on their Instagram (@hocksiong), it was a beautiful gold vintage mirror that I desperately wanted. But unfortunately, someone beat me to the punch. We still decided to make a trip down – crossing my fingers I would find something similar. And there it was. It was affordable, the perfect size, the weight was enough for it to lean on the wall on its own, but just one thing – it was dull and grey. Instead of passing it by, we saw potential. With some TLC, we completely transformed it! Watch to see step by step full transformation process below! You don’t need a garage or a backyard in order to DIY! Ohh I need to mention one more thing! 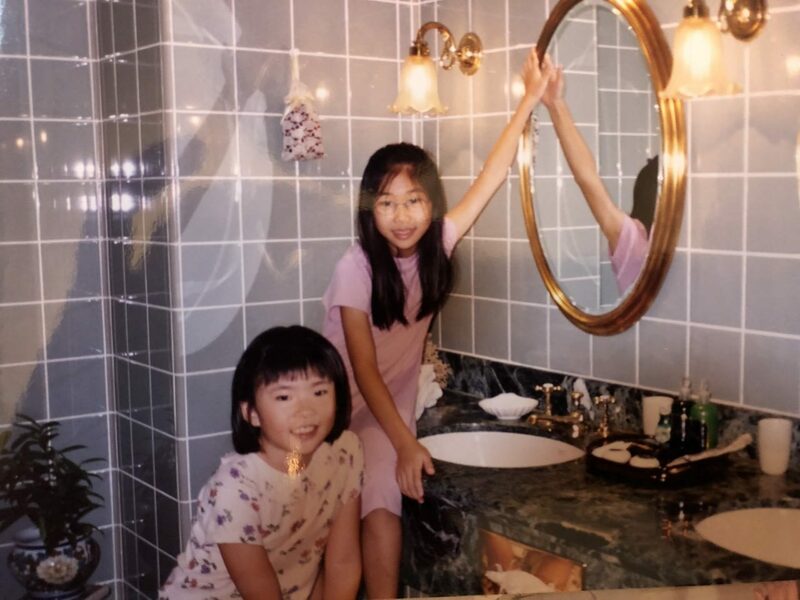 I bought another gold vintage mirror and when Tai Yi went home, she came across a picture. Look closer, the background has the same raffles hotel vintage mirror I bought! Now, that’s what I call vintage! Isn’t it amazing when pre-loved items can be beautifully preserved and passed on between the strangers that inhabit a striving cosmopolitan city!